The Amendment of the Agreement on Trade-Related Aspects of Intellectual Property Rights (TRIPS) became effective on January 23, 2017, following its ratification by two-thirds of the WTO member countries. This modification of the TRIPS Agreement authorizes the legal framework wherein generic versions of medicaments that are protected by patents can be produced using specific compulsory licenses (also known as “involuntary licenses”) and exported to countries whose production capacity for these is limited or nonexistent. The use of these compulsory licenses is one of the most controversial flexibilities included in the TRIPS Agreement. The new instrument allows a government or legal authority to authorize the manufacture and export or import of the patented pharmaceutical without needing the consent of the patent owner. Developing countries consider these licenses to be of fundamental importance to guaranteeing the implementation of more ambitious public policies, in line with the provisions of the TRIPS Agreement. The TRIPS Agreement has contributed to the international sphere by providing a compulsory international regulatory framework for all WTO member countries by listing obligations in relation to technological inventions. However, Article 4 of the Doha Declaration on the TRIPS Agreement and Public Health leaves a margin of flexibility for member countries to “develop their own patent and intellectual property laws on the basis of their own development needs”1, in order to be able to comply with their own national goals of access to health and food. TRIPS, Article 4: We agree that the TRIPS Agreement does not and should not prevent members from taking measures to protect public health. Accordingly, while reiterating our commitment to the TRIPS Agreement, we affirm that the Agreement can and should be interpreted and implemented in a manner supportive of WTO Members’ right to protect public health and, in particular, to promote access to medicines for all. In 2001, the DOHA Declaration on the TRIPS Agreement and Public Health confirmed that intellectual property rights should not be an obstacle to developing countries accessing medicines. However, the absence of a patent does not guarantee effective access to a medicine or medical innovation, as this depends on a balance of factors including accessible prices, sustainable financing, and reliable healthcare systems. The WTO responded to calls from countries belonging to the African Group in paragraph 6 of the Declaration on the TRIPS Agreement and Public Health, in which it acknowledged the need for a solution to the difficulties that members with limited or no medicine manufacturing capacities were facing when it came to using compulsory licenses. Declaration on the TRIPS Agreement and Public Health, Paragraph 6: We recognize that WTO Members with insufficient or no manufacturing capacities in the pharmaceutical sector could face difficulties in making effective use of compulsory licensing under the TRIPS Agreement. We instruct the Council for TRIPS to find an expeditious solution to this problem and to report to the General Council before the end of 2002. However, the negotiations in Geneva on intellectual property and public health came to a standstill over subparagraph (f) article 31 of the TRIPS Agreement as negotiators were unable to resolve the controversial issue of restrictions on the use of compulsory licenses within the domestic market (except where these were issued in response to anticompetitive practices), which in practice hindered the importation of generic medicines at lower prices. This decision simultaneously solved the health problem of the member country wishing to import a given medicine and the legal problem of the member country wishing to export it. However, the General Council agreed that this exemption, which was only temporary, would only remain in force until article 31 of the TRIPS Agreement had been amended. The paragraph 6 system was highly contentious due to the complexity of the procedures it entailed and the exceptional circumstances under which it could be used. When WTO director-general Roberto de Azevêdo announced that this amendment had been ratified, he drew attention to this being the first time a legal modification to WTO standards has been passed and has entered into force. He also underlined the objective of the decision, which is related to the vulnerability of the least-developed and developing countries, which face greater obstacles to meeting their basic medication needs. At present, 4.8 billion people (80% of the world’s population) live in developing countries, where communicable diseases account for 50% of the burden of disease. In these countries, 2.7 billion people live on less than US$2 a day, which excludes them from any possibility of acquiring health products and medical devices for the diagnosis, treatment, cure, or prevention of disease. The amendment to article 31 of the TRIPS Agreement is important because it acknowledges that resolving the problem of access to patented medicines is a global priority. This acknowledgment was a call to action for the international community to respond not just to the HIV/AIDS, TB, and malaria epidemics that mainly afflict developing countries but also to other illnesses that also affect these countries’ populations, thus affecting their trade and economic growth. The main issues at stake include the limitations that many developing countries face in manufacturing their own medicines and the way in which the pharmaceutical industry’s production is concentrated in certain countries with capacities for investing in R&D for new medicines and technological innovations in the field of medicine. Likewise, new developments such as cancer drugs, new vaccines, and medicines to combat noncommunicable diseases are becoming increasingly costly. In this sense, the interaction between the WTO, the WHO, and WIPO constitutes a coordinated pillar of support for member countries in the field of intellectual property measures around access to basic medicines and medical technology. It encourages greater transparency in the patenting of essential medicines by identifying barriers to access to these. Working toward guaranteeing access to healthcare for the world’s most vulnerable populations is a crosscutting challenge that involves a wide range of interconnected issues, such as trade-related aspects of intellectual property; technology transfer; research, development, and innovation; access to medicaments and treatments; and access to financing. It is also connected to disciplines such as competition policies5; acquisition policies; tariff and nontariff measures; data protection; freedom to operate; innovation policies; regulation to ensure quality, safety, and effectiveness; international trade agreements; monitoring; human rights; and so on. (b) necessary to protect human, animal or plant life or health…” Likewise, the General Agreement on Trade in Services (GATS) contains a similar condition in paragraph (b) of article XIV (General Exceptions). Article 8 of the TRIPS Agreement recognizes member countries’ right to adopt measures to protect public health and nutrition provided that these are consistent with the provisions of the agreement. GATS, Art. 8: Members may, in formulating or amending their laws and regulations, adopt measures necessary to protect public health and nutrition, and to promote the public interest in sectors of vital importance to their socio-economic and technological development, provided that such measures are consistent with the provisions of this Agreement. The principle of nondiscrimination is one of the basic principles governing international trade relations and is set out in the basic principles of the WTO, namely national treatment6 and most-favored-nation treatment.7 They are also reflected in the GATT (trade in goods), GATS (trade in services), and the TRIPS agreement (intellectual property). The principle of nondiscrimination includes exceptions such as special and differential treatment for developing countries and within free trade agreements. In the case of GATT and GATS, major exceptions apply, particularly special provisions on special and differential treatment in favor of developing countries and free trade agreements (GATT, art. XXIV). From the legal perspective, the current debate on universal access to healthcare focuses on two main issues: on the one hand, access to medicines, which has been a core aspect of the human right to health since the signing of the International Covenant on Economic, Social and Cultural Rights (ICESCR) in 1966; and access to drugs and patents, on the other. TRIPS sets out the legal scope of patent protection in the health sector. 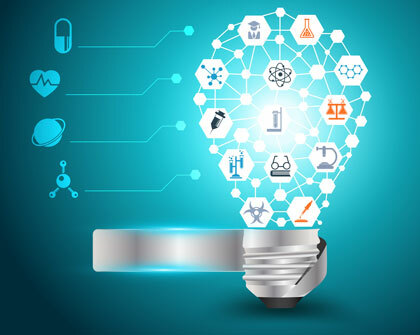 The expansion of medical patents and technological development in this sector have deepened the connection between the right to health and medical patents, which have come to occupy a central position internationally. Art. 7: The protection and enforcement of intellectual property rights should contribute to the promotion of technological innovation and to the transfer and dissemination of technology, to the mutual advantage of producers and users of technological knowledge and in a manner conducive to social and economic welfare, and to a balance of rights and obligations. technology transfer to least-developed country Members in order to enable them to create a sound and viable technological base. Patents are a controversial issue in this regard, as they have the potential to both facilitate and restrict access to new drugs. On the one hand, in accordance with article 3 of the Doha Declaration on the TRIPS Agreement and Public Health, patents protect innovation and promote the spread of knowledge through incentives to investment in research and development in the health sector, particularly in developed countries. However, on the other hand, they lead to an increase in the relative prices of patented drugs. This dichotomy creates tension between the goals of the pharmaceutical industry, which seek to recoup their investments, and those of public policy, which must promote access to healthcare, particularly for low-income sectors of the population. TRIPS, Article 3: We recognize that intellectual property protection is important for the development of new medicines. We also recognize the concerns about its effects on prices. Of the 20 free trade agreements (FTAs) that the United States has negotiated, 11 are with countries in the Americas: Canada, Chile, Colombia, Costa Rica, the Dominican Republic, El Salvador, Guatemala, Honduras, Mexico, Nicaragua, Panama, and Peru. The seriousness of the HIV/AIDS crisis was what led to public health-related intellectual property rights receiving a declaration of their own that is separate from the Doha Ministerial Declaration. For a concise but complete analysis of this negotiation process, see Devereaux, Charan, Robert Z. Lawrence, and Michael D. Watkins, Case Studies in US Trade Negotiation, Vol.1 Making the Rules (Washington DC: Institute for International Economics, 2006), pp. 76–133. Imported and locally-produced goods should be treated equally—at least after the foreign goods have entered the market. The same should apply to foreign and domestic services, and to foreign and local trademarks, copyrights, and patents.